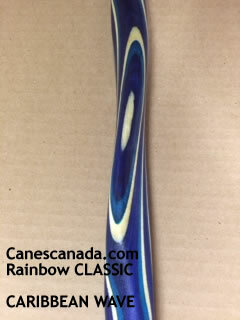 Our Rainbow collection is handmade for CanesCanada.com and has up to 23 pieces of natural wood laminated together to make not just a cane, but a work of art. 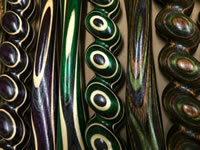 Each of these canes are individually turned which means there won't be two alike. Weighs less than 1 lb. 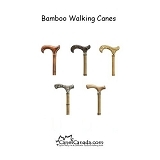 All canes come standard with an orthopedic handle the same colour wood as the cane and a brass collar.The colour pattern and the twisted shaft really make this cane fun and fashionable. 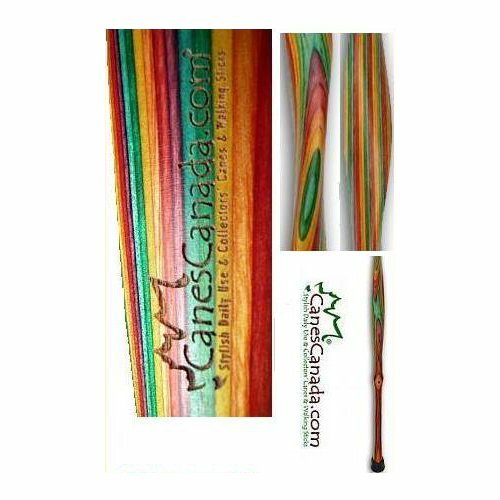 Our Rainbow canes are a dream to take care because each piece of wood is stained through and through, you will never lose the colour tone to dents or scratches. 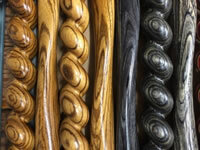 And, when it comes time for a little touch up, just lightly sand down the area that is scratched with either fine sand paper or with fine grade steel wool, wipe clean with a dry cloth and then spray with a clear varathane. 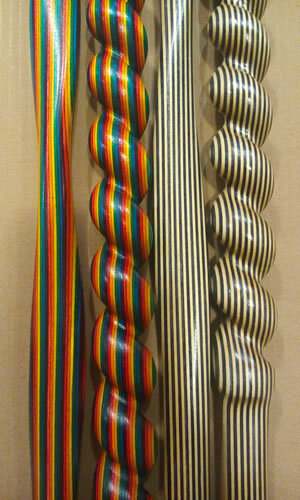 GREAT NEWS: The factory has resumed production with all new colours. Same great quality. 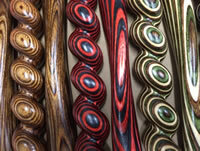 Tip Size - Varies between 7/8" or 1"
Great cane - handle is a little wider to hold than standard canes. Very solid. 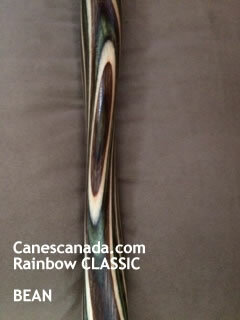 I bought this cane in 2008 when it became clear I would need one for everyday use. Since then many, many people have complimented it, either in passing or actually stopping me to admire it. 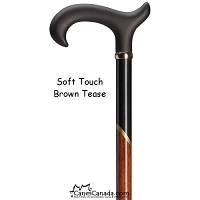 I've tried looking for a new alternate cane but honestly nothing else appeals to me as much as my old friend. 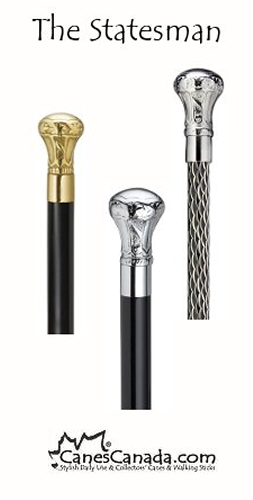 It really helped me adapt to being a young person using a cane, because so many people have enjoyed it, when I get looks I don't feel self-conscious but rather assume they're checking out my lovely cane! 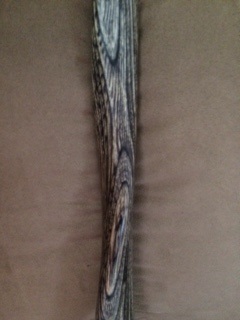 I always point out the name etched into the wood in case they're in the market. 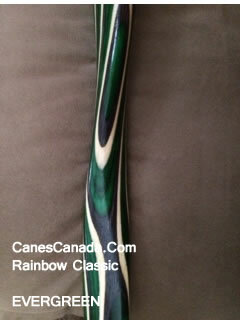 The recent cane purchase is beautiful. I haven't started using it yet. I still need to cut it down. 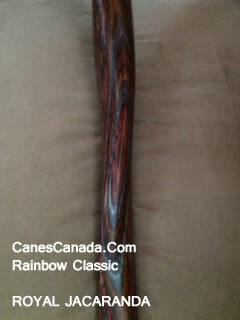 This is my 3rd rainbow cane. I love them. They are stylish, sturdy and comfortable. 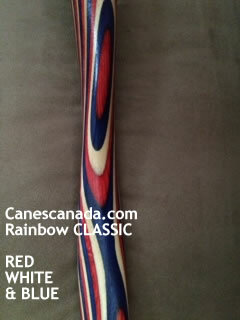 They get a lot of attention and I have recommended Canes Canada to everyone who inquires. Thanks for making such a wonderful product when there are such medicinal ones in the shops. 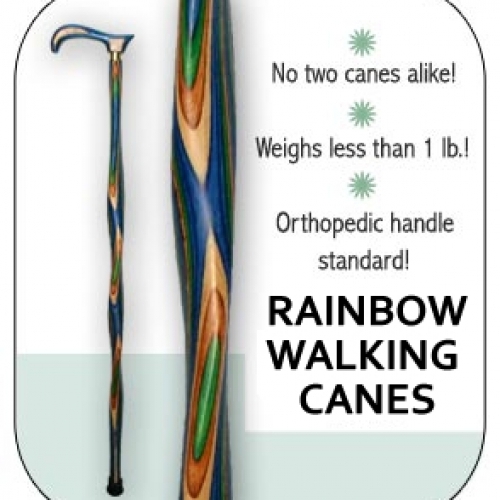 I bought my rainbow cane several years ago and I would say at least 100 people have commented onn how much they like it. One of the best buys of my life. Functionally I could not ask for more. 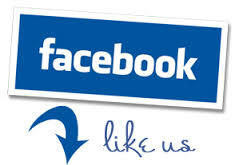 The handle is ergonomically great, very comfortable,and without a rubber sleeve that just wears out in time. 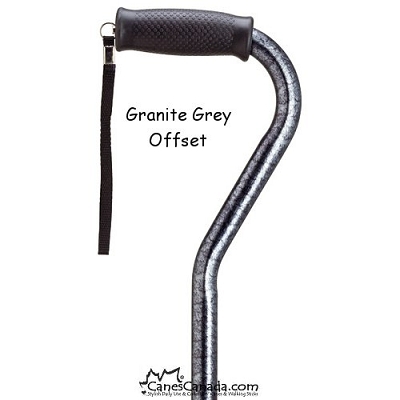 The main part of the cane is good and solid, and supports my weight very well (I have serious arthritis in the right hip). 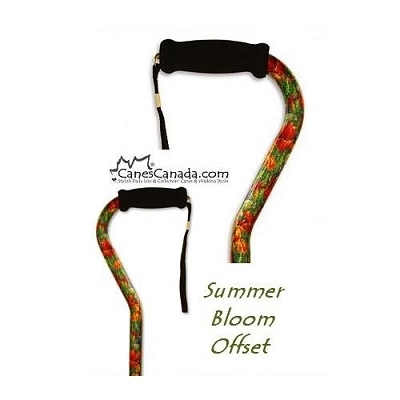 It has a good broad tip that does not slip, and getting the strap was a great decision that has prevented me from dropping the cane on several occasions. But I wanted more than that in a cane. 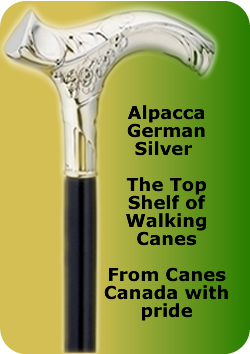 I figured if I have to walk with a cane I want one that looks sharp, and this one sure does. 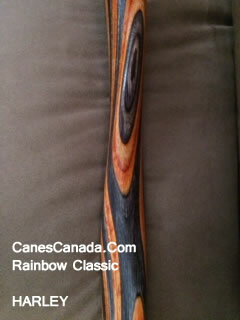 In fact several times I have been stopped by complete strangers who commented on how good the cane looked. 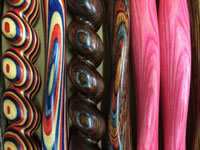 This is, in my opinion, a great cane. 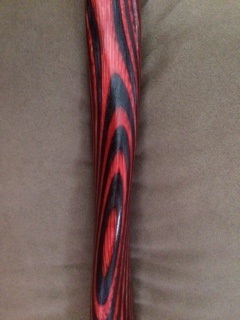 I purchased this cane for my wife who has arthritis because she said if you have to have a cane it needs to be cool. she thinks this fits the bill she is extremely happy with it and will probably want another one now that they have resumed production. 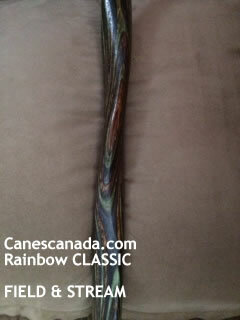 I'm completely thrilled with the whole process for ordering & receiving my new rainbow cane.Ashley made the ordeal great & the cane arrived in due course.The quality & craftsmanship of this cane is amazing. 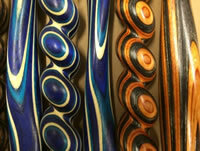 This is the first laminated cane with a twist carved into it that I've ever seen & it is a treasure to own. If you come across anymore of the same quality, I'd be interested in making another purchase.